You can follow the heavyweight showdown between Deontay Wilder and Tyson Fury with our sensational live blog from around 2am on Sunday morning. We will bring you all the action and reaction from the WBC world title fight from the Staples Center, Los Angeles. The main event should start any time after 4am (GMT), and you can stay up to date with it on skysports.com/boxing or the Sky Sports App. If you don’t set your alarm, or want to wake up to find out exactly what went on, stick with Sky Sports Digital Boxing or tune in to Sky Sports News as soon as you wake up on Sunday morning. 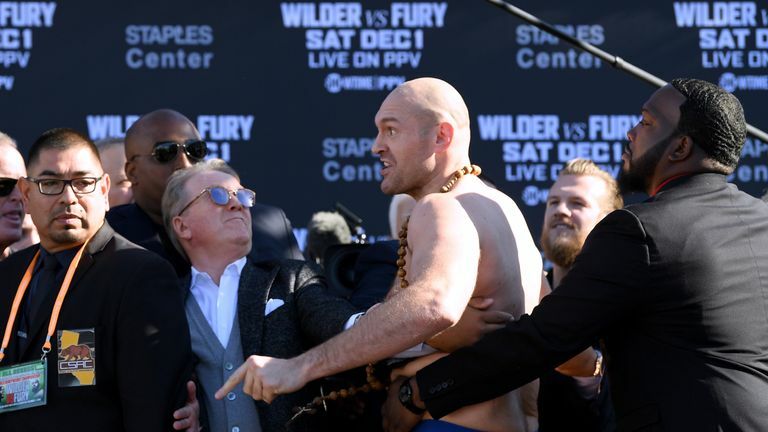 Deontay Wilder was unmoved during the weigh-in as Tyson Fury shouted at the WBC heavyweight champion ahead of their title fight this weekend. Kell Brook takes on Australian Michael Zerafa in what could be the ‘Special One’s last fight in his hometown of Sheffield. Talks with long-term rival Amir Khan could see them meet in the new year, and Khan could even be ringside next week. Rocky Fielding has a “dream fight” against pound-for-pounder Saul ‘Canelo’ Alvarez at the legendary Madison Square Garden, New York. It is the first defence of the Merseysider’s WBA super-middleweight crown, too. It’s taken two years for these two London heavyweight rivals to get it on again. There is never any love lost between Dillian Whyte and Derek Chisora so by the time the Sky Sports Box Office night arrives, there will be a crackling Christmas treat on offer. 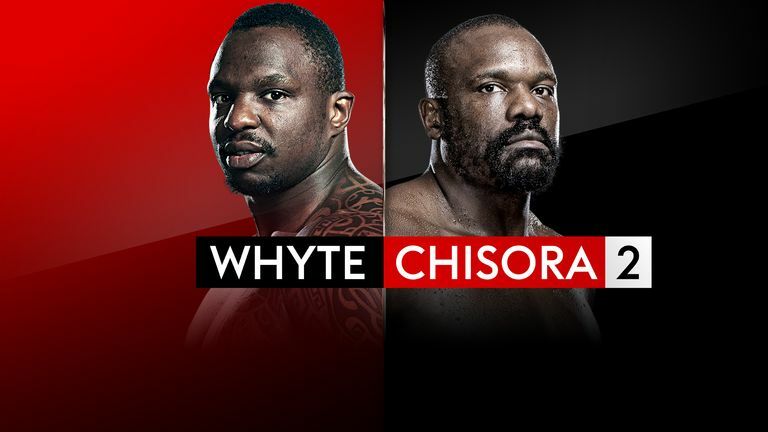 Watch Dillian Whyte vs Dereck Chisora 2, and the undercard including Price vs Little, Rosales vs Edwards and Walsh vs Bellotti, live from The O2, Saturday, December 22, live on Sky Sports Box Office. Book online here.